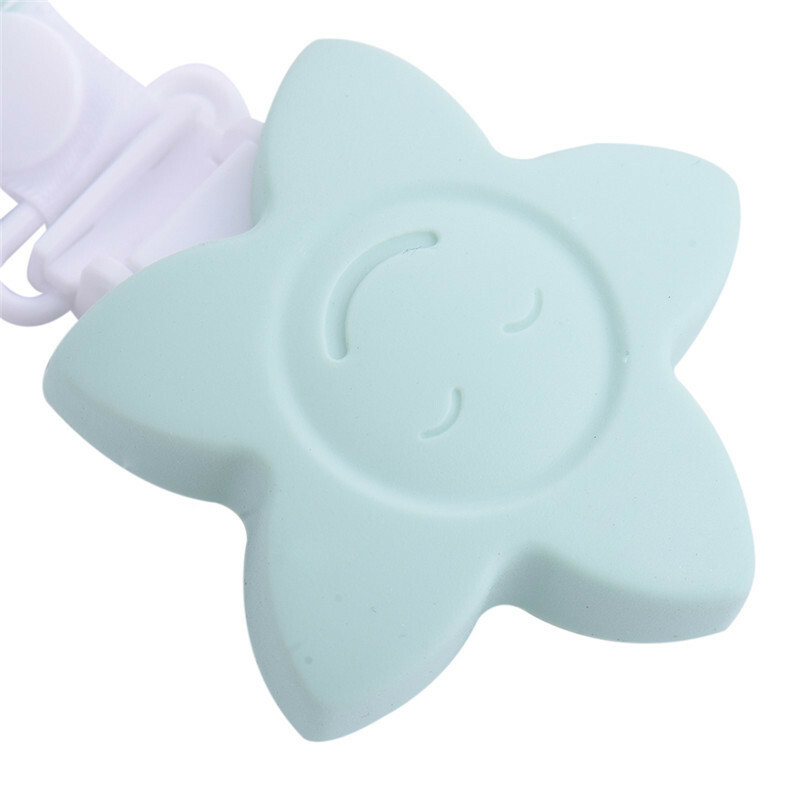 Notice: Please disinfect in boiling water before use. 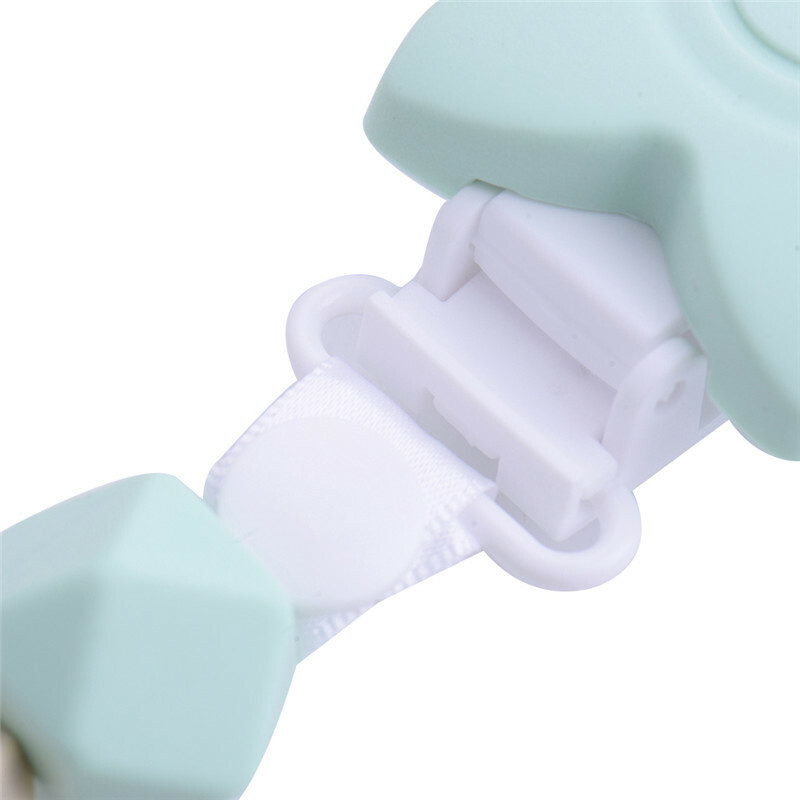 The product uses food-grade silicone, free of BPA. 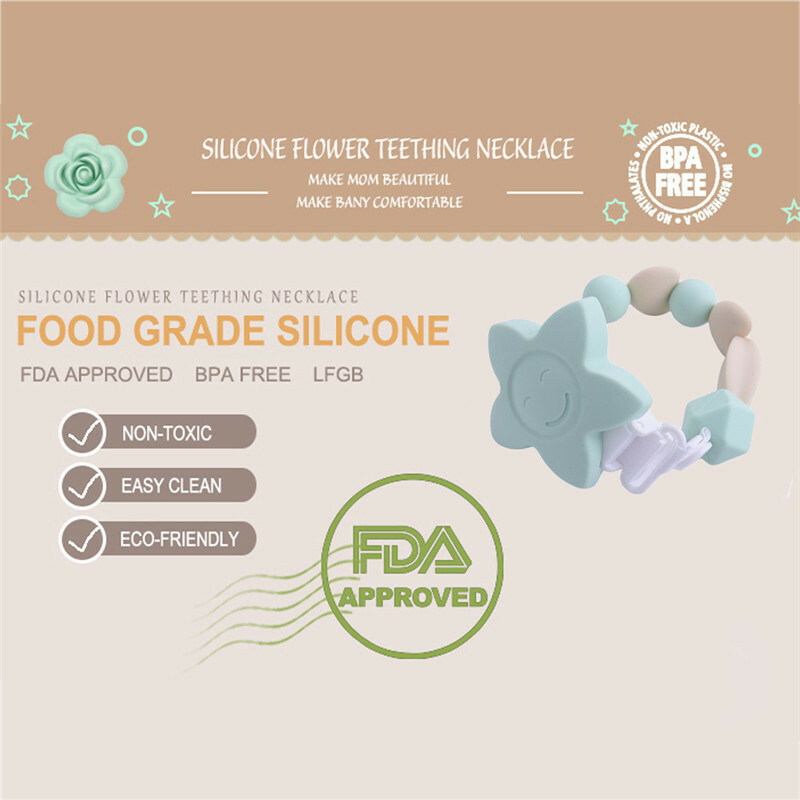 Materials are certified by the United States FDA, safe and non-toxic, can be used safely. 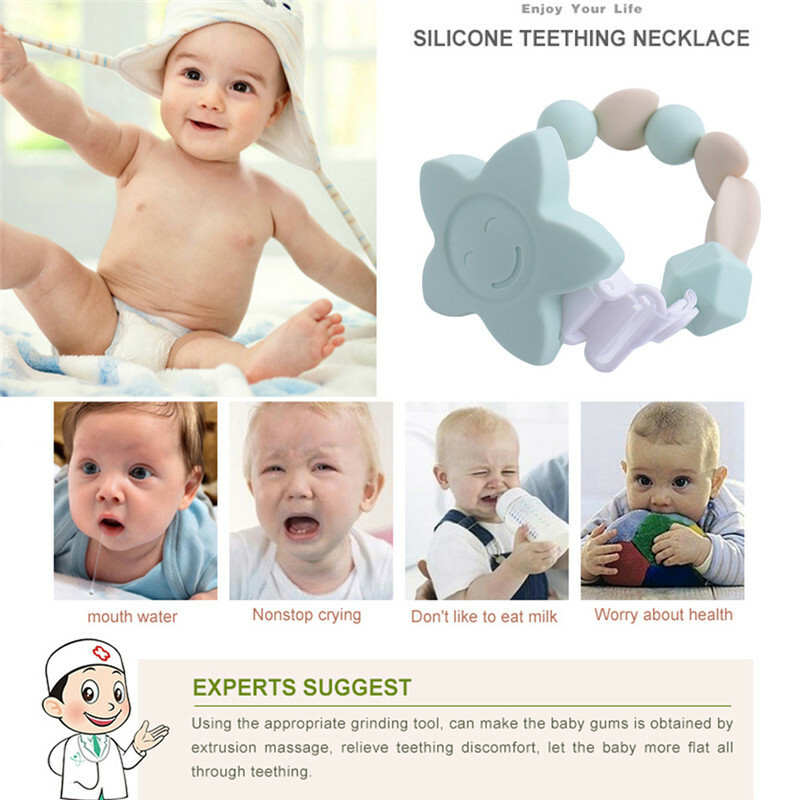 Material is non-toxic, soft, can be chewed, not to hurt the baby gums, can ease the discomfort of baby teething period. 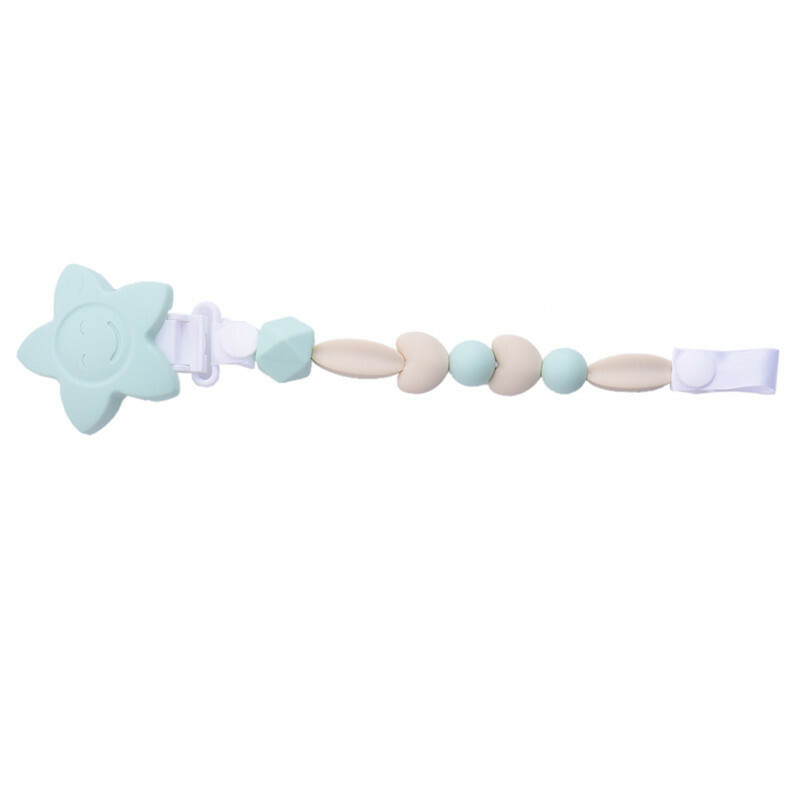 With beautiful shape, bright colors, easy to attract baby’s attention and avoid problems of biting and grasping hair , help your baby grow better.